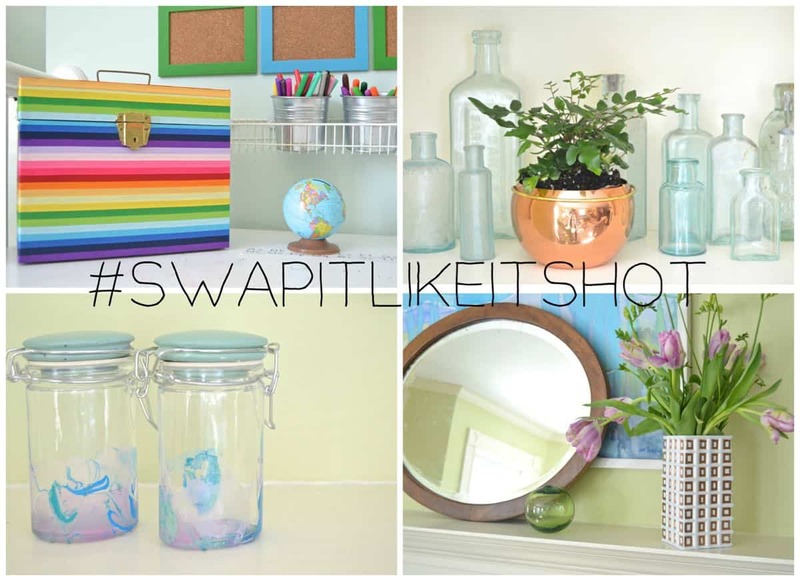 There are plenty of things I look forward to throughout the year: birthdays, holidays, pumpkin spice latte day… and #SwapItLikeItsHot is RIGHT up there!!! This little collaboration started about a year ago with 10 of my blogging friends, and now we’re on #SWAP 3 and there are 33 of us participating!! The premise? Everyone goes off a-thrifting. 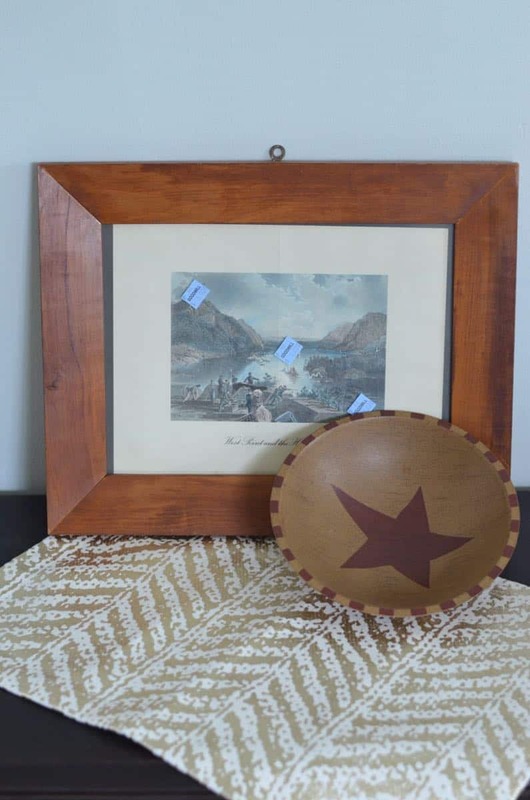 Yard sales, flea markets, thrift stores… you name it. 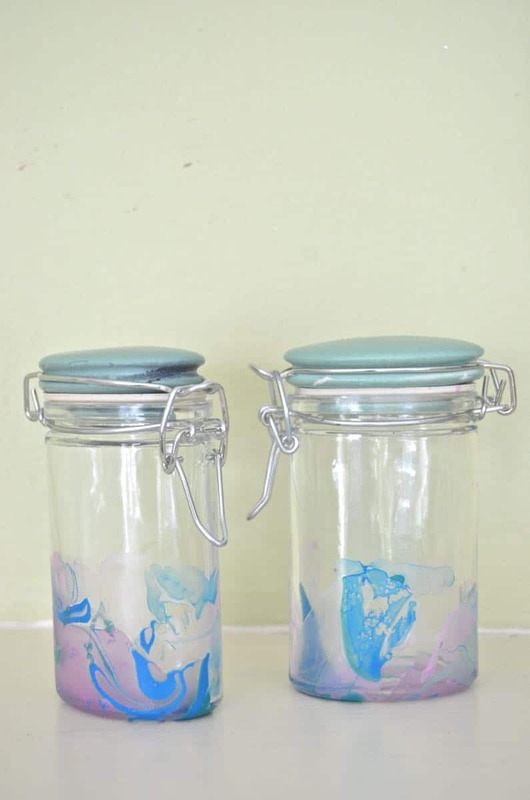 For less than $15, come up with something to send along to swap with another blogger. A few weeks of tinkering and hot glueing and welding and weaving and… everyone posts their makeovers!! Cutting to the chase… I LOVE it. I am always amazed at not only the goodies people send each other, but also the creativity of all the makeovers. The rockstar otherwise known as Trisha from Black and White Obsession sent me a TREASURE TROVE of stuff. I’m pretty sure she cheated and everything set her back $200. Just sayin’. So I spray painted it with some primer. I liked the flat white so I used primer and left it at that. 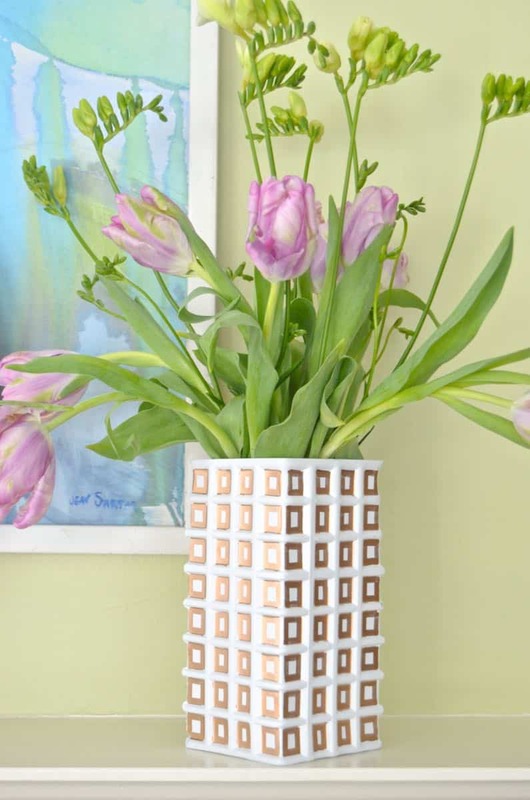 The geometric pattern of this vase was what I loved the most, so I traced each facet with a gold paint pen. Cool, right? 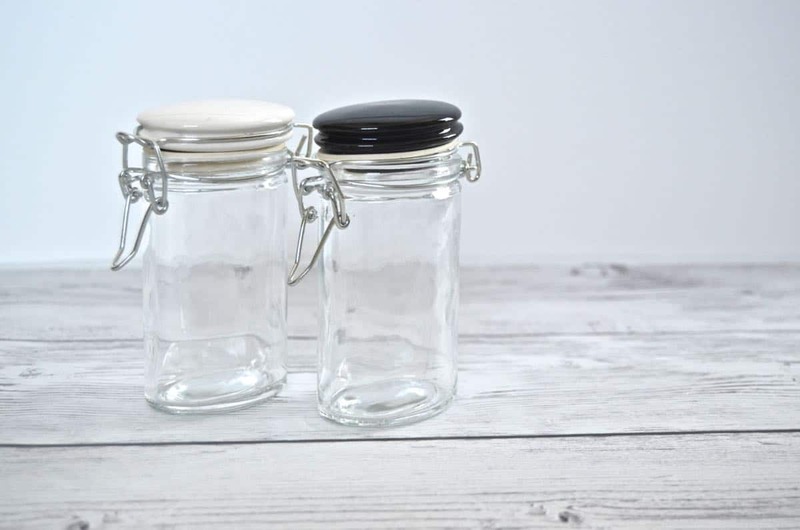 These little storage jars are moderately in the craft fail category, but everyone likes a good craft fail. I stumbled across this post on Pinterest a while ago. Seemed simple enough. I’m long on nail polish these days. 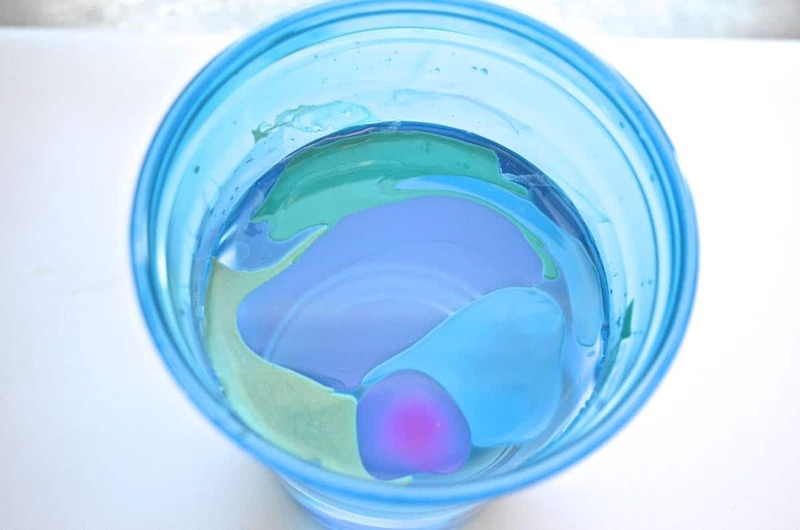 The premise is that you drip the nail polish onto the surface of the water and swirl it around to marbleize the colors. 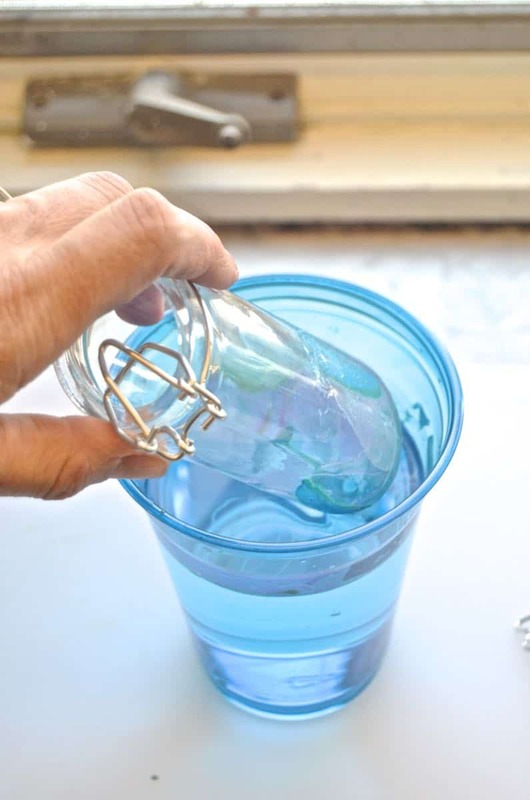 Dip your glass container down into the water and ooohhhh…. aaahhhhh. Crafting magic. Well… I’ll let you decide whether I cast any spells with these. I’m not sold, but… better than nothing. 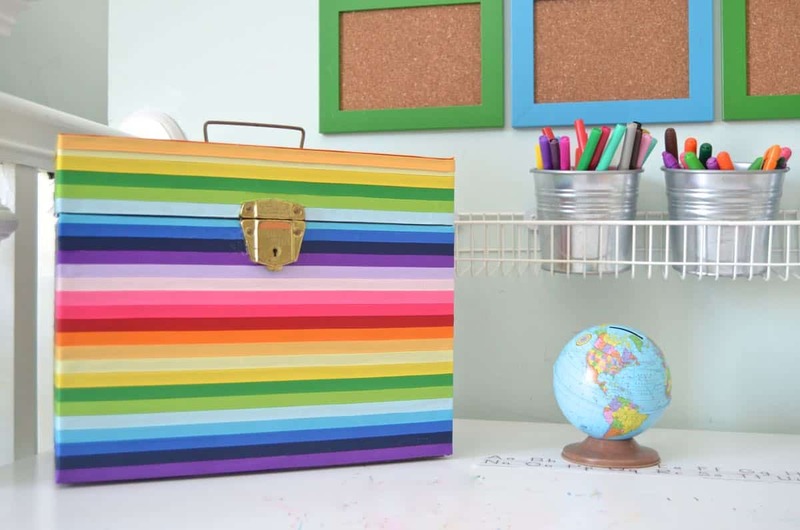 These can go up to the kid’s art center to store paper clips and stickers or something. Trisha’s hilarious and this is what all of my items were shipped in. 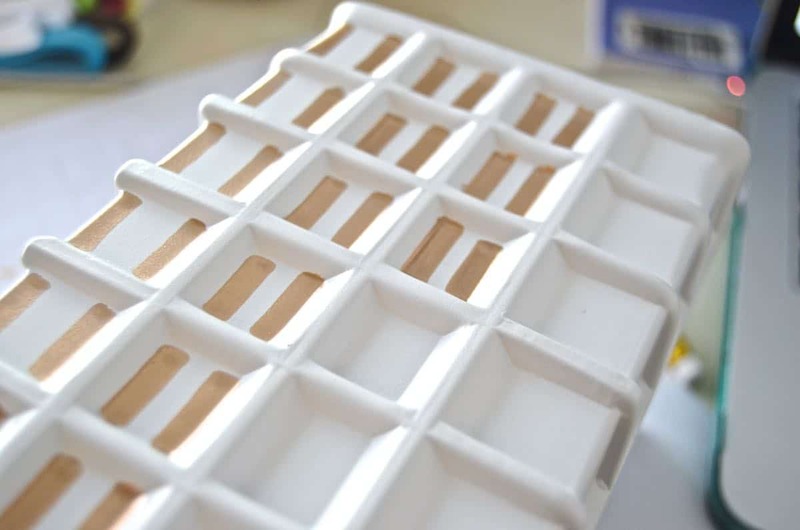 It’s metal and nothing super sturdy, but… after some intense consideration (crafting is no joke, afterall), I decided to add the box to my makeover list! How do you like it now?! I’m letting Eleanor use this as a way to stash her ‘finished’ artwork. There are so many things ‘in progress’ around here that I never know what can stay and what can go. So for Trisha’s $10 I was able to get a lot done!! Every day there’s a different round robin of bloggers sharing their makeovers. Yesterday, the amazing ladies over at Run to Radiance, Decor Adventures, Year of Serendipity, 58 Water Street, Don’t Disturb This Groove, and Artsy Chicks Rule showed off their projects… soooooooo good. 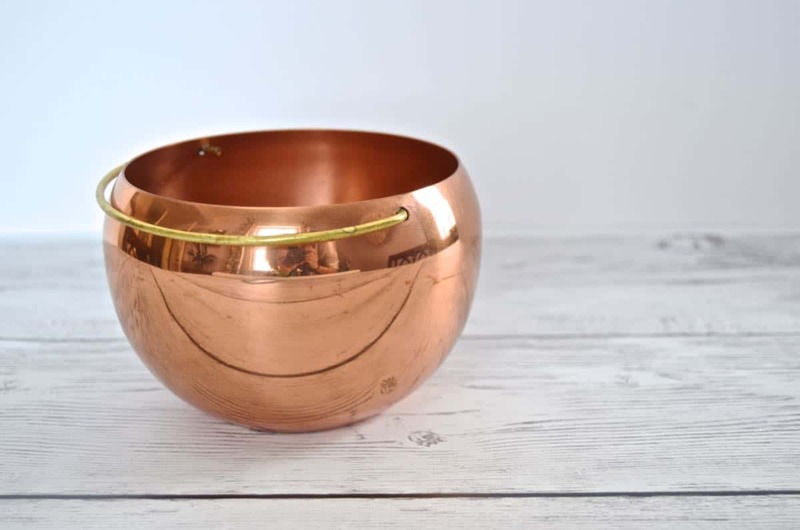 I really love how the box came out and the copper bowl is just gorgeous as a planter. I had a similar marbelizing nail polish fail trying to do Easter eggs with my daughter. Ridiculous mess. I don’t get how it works. Such fun, sorry to miss this round! You are the #SwapItLikeItsHot goddess!! 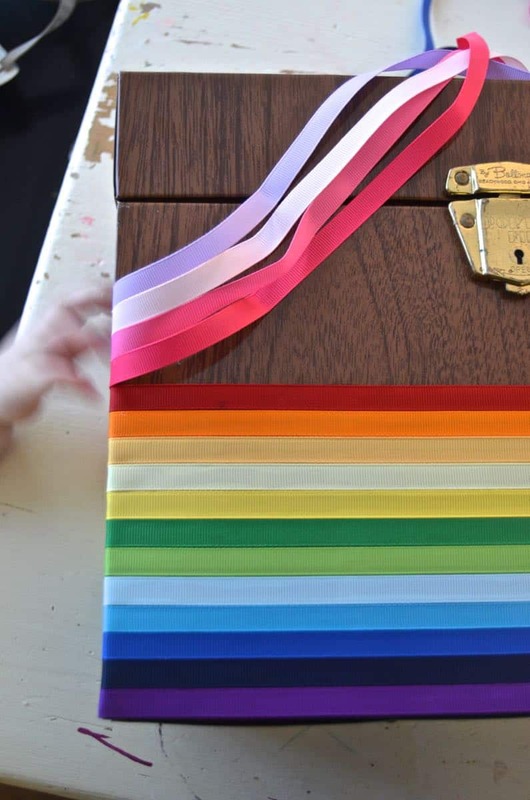 I am in awe of that amazing ribbon box… I mean… wow!! And what you did with that vase!! Gold and white is a classic combo 😉 Thanks for organizing another incredible round, and for inviting me to join in the fun!! I <3 Swap Week! Everything came UNDER $10, promise! It really was a reeeally good thrifting day, ha!! I may have shed a tear giving up that copper bowl. Hot dang, everything is just over the top. I’d say that vase has to be my favorite! That rainbow box though, pretty close second. I was secretly hoping that you would have recovered/re-purposed the awkward round pillow into a proper neck pillow with that black and white fabric. Although the stripes were a little to wide. I’ll be sure to pin later this evening!! ooh I love what you did with the vase- huge difference!! My goodness Charlotte, you are so creative. And you pictures are so bright and beautiful. 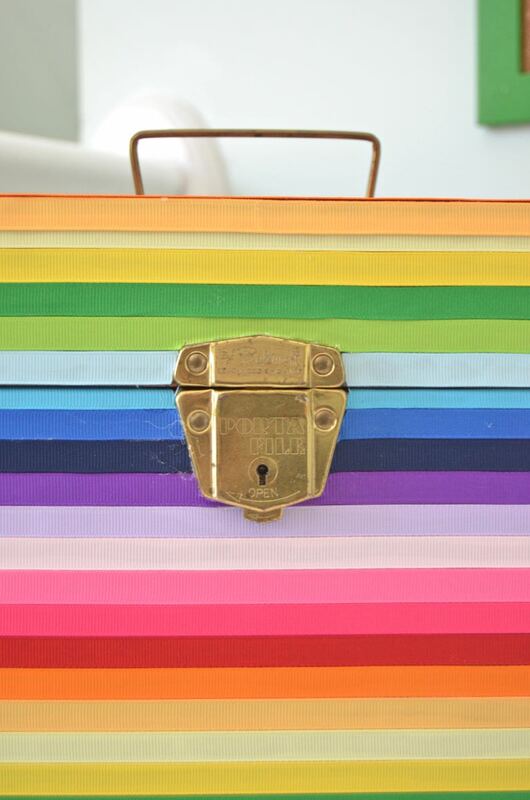 I really love what you did with the rainbow box. I bet your daughter loves it too. You did a great job with the goodies that Trisha sent you. 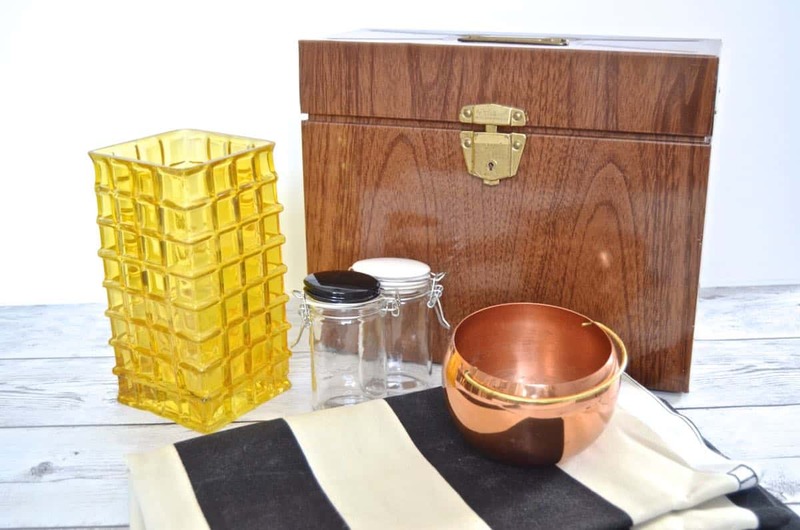 I love the makeover you gave that not-so-pretty vase and really love how you added ribbon to the storage box. This is such a fun challenge and I’m enjoying seeing what everyone received and how they transformed each piece. love how the ribbon box especially turned out- sooo fun! 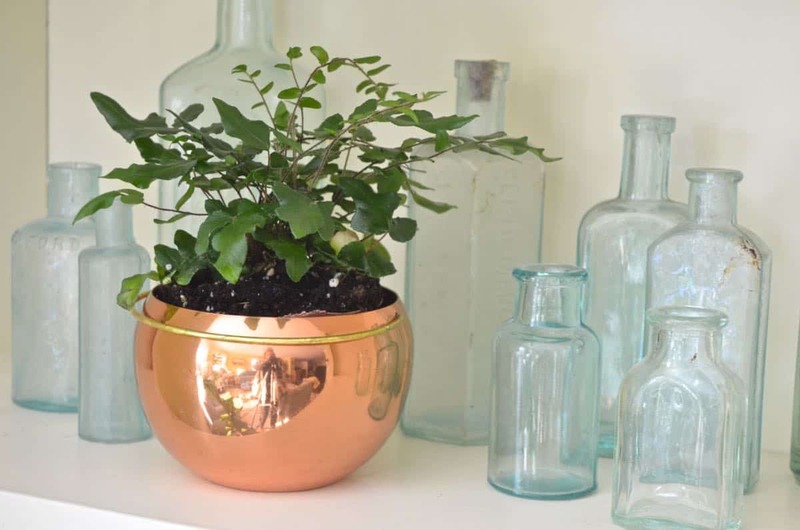 and i love that copper pot! what a fun box of goodies! thank you so much for all of the work you have put into making this happen! 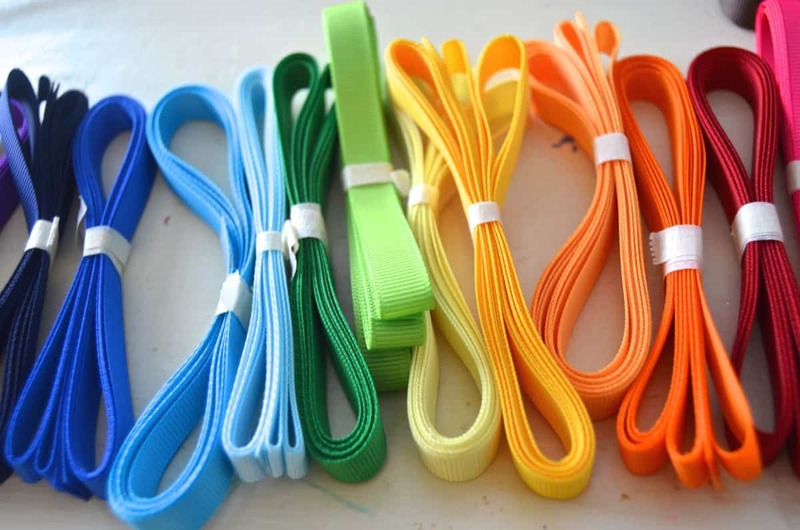 Charlotte, I LOOOOOVE that rainbow ribbon box! It’s incredible! And the white and gold vase was such a great idea! Thanks so much for inviting me to join in this round of Swap it Like it’s Hot! It’s been so much fun!!! Such a difference, right? The “wood” could have worked in a different space, but for the art center… bring on the color! 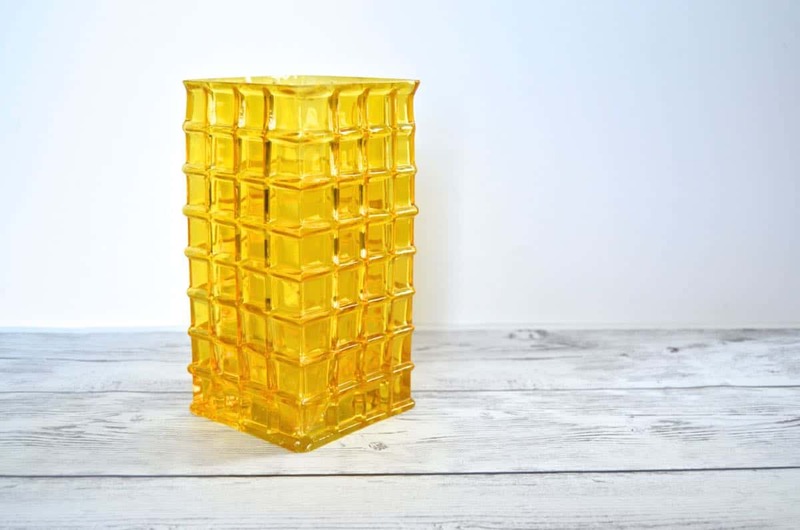 I felt bad about the vase when I read your post about how much you love yellow… oh well. :/ Thanks for joining the fun!! How pretty is the ribbon covered box??!!! Love that!! And the vase looks so great with the gold squares! That rainbow ribbon box is so cute! I love it! So creative. And I’m partial to the copper pot. Awesome job! 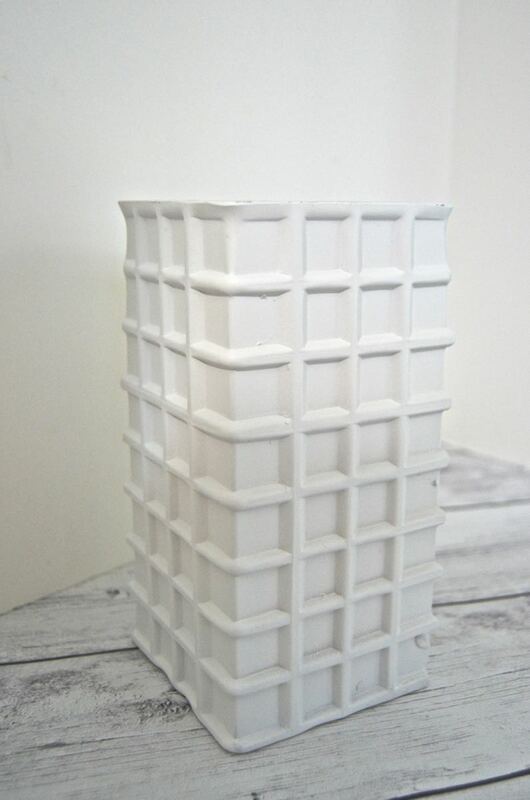 It is fantastic find for a nursery! Or a play room. Or…outside! Alright, if anyone else sees a vase like that, you’ve got my address. I WANT IT. Cute, cute, cute!! Love the ribbon box and the vase is so pretty now. Thanks for organizing this event!! Love the ribbon, love the vase, Love it all. You are one creative lady! Thanks! I’d say I’m in the same boat as all the other swappers, but it’s always so fun to see where people’s mind goes with these things!! Well, you are a rockstar!!! That pillow has me stumped as well. A giant pin cushion! LOL! Love what you did with the other items. That vase is killer!!! I think you are the most creative crafter I know. 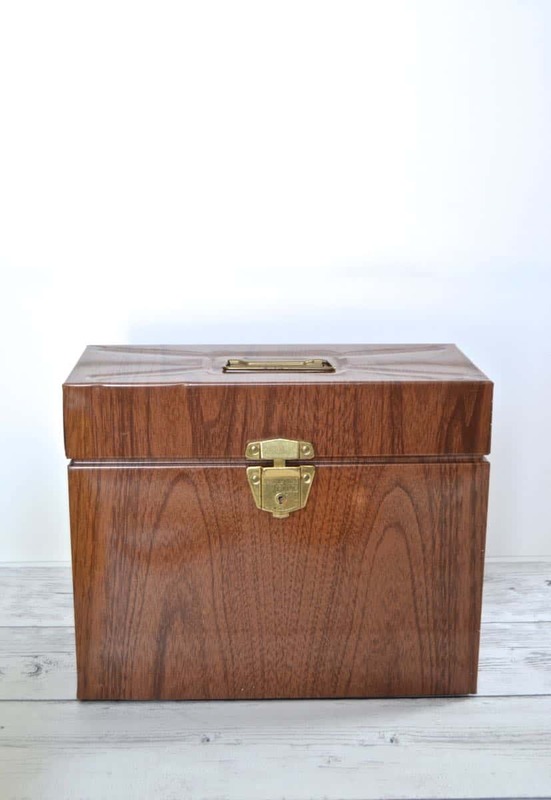 LOVE the ribbon box! (Sorry I’m a late commenter). Thanks for all your work on this SWAP. Can’t wait for the next one. P.S. I’m still making things with the items I didn’t use in my stash. Fun! I absolutely love what you did with everything. The white and gold vase is so pretty!! !